Want to collect scientific data on your own? Or lead students and your own groups independently in hands-on scientific activities? 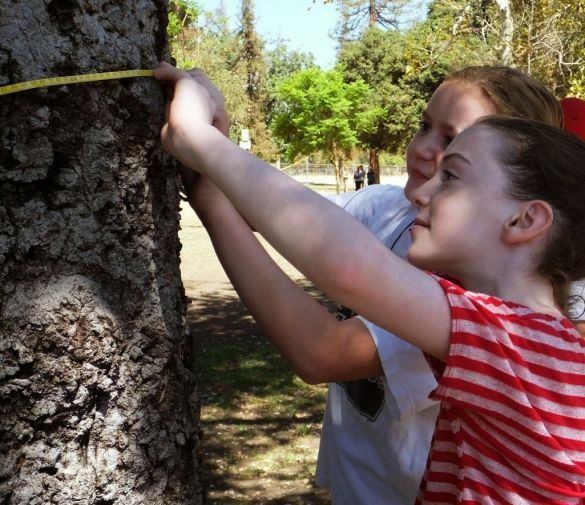 It’s a simple and fun way to learn and teach others about the importance of trees in the urban landscape. Getting certified ensures you (and any fellow volunteers you choose to lead out) can independently collect research-grade scientific data on the urban trees all around you without waiting on others to set up collection events. Learn more about our current project on our Volunteer page. To become a Certified Community Scientist, you will need to pass a short written test on the data collection protocol + a field test involving actual measurements of some reference trees. In-Person: Join an in-person training event (approximately 3 hours + any travel time to the field testing site) where the classroom concepts and paper test will be administered on-site before being guided to some local trees for the field test. All equipment and materials will be provided. Subscribe to our e-newsletter to be notified of upcoming training events. Online: Visit the Training section of the website to review the classroom materials and take the classroom test online. To complete the field test, you may e-mail us to receive instructions for measuring trees in a reference park convenient to your location. (Alternatively, you’re welcome to join any in-person training event’s field test to take your measurements there). After submitting your measurements back to us, we’ll provide feedback on your results. If you finish this field test with a passing score, we’ll mail you a paper certificate plus a measuring tape to celebrate your accomplishment! After getting certified, all you need to continue taking measurements as a Certified Community Scientist is a smart phone (or GPS device), a 33ft string, a compass (or compass app on your phone), and a measuring tape. As an Earthwatch-approved Certified Community Scientist you will also be able to borrow our Earthwatch toolkits (multiple rental locations throughout Los Angeles and Riverside Counties as well as Indio/Palm Desert) free of charge. If you’re interested in managing groups and bringing friends, family, colleagues, etc. with you out into the field, review the Team Leader section on our Training page to gain mastery over additional facilitation techniques. As a Certified Community Scientist, you’ll be qualified to collect scientific research measurements for this project whether you go out solo or lead others in doing so. 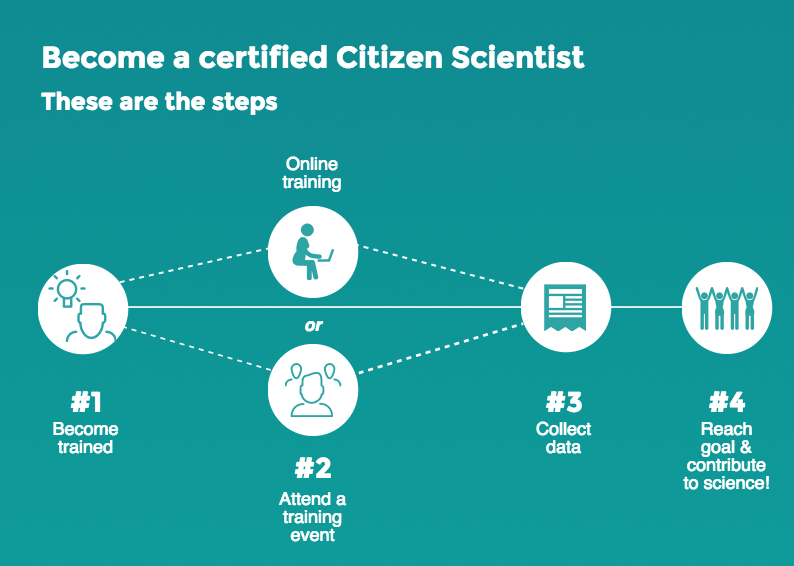 Per your training instructions as a Certified Community Scientist, either submit your written observations via email or enter the data points directly into iNaturalist. Unsure of whether you want to pursue certification? Join us as a Volunteer at an existing collection event to familiarize yourself with the data collection protocol under the guidance of an Earthwatch staff member or Certified Community Scientist.